Kiwi Stumpgrinding is an owner operated business providing tree trunk removal and tree stump grinding services to the Brisbane and Ipswich areas. Kiwi Stumpgrinding now use the latest in stump removal technology with their compact and portable grinder that alows them to access previously inaccessible locations. With this new equipment, Kiwi Stumpgrinding are able to specialise in tree trunk removal and stum grinding in places that are particularly awkward to access. 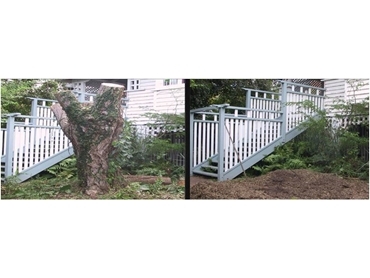 The company also provides tree cutting, rubbish removal, and yard clean up services. Fully insured and with 10 years tree stump grinding experience behind them, Kiwi Stumpgrinding provide free quotes and guarantee a professional service.